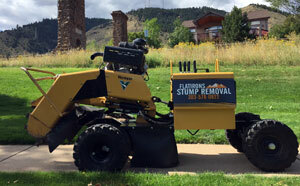 Flatirons Stump Removal – About Us! 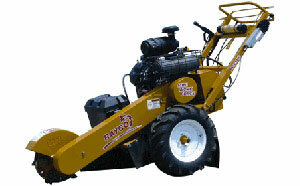 For hard-to-reach stumps, we utilize our narrow access Rayco 25HD which only requires a 30″ wide path. While it cuts slower, it still is a formidable machine. 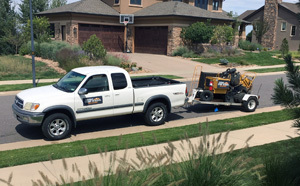 Founded in 2013 Flatirons Stump Removal is still a relatively new company to the market in Denver, which means we are working hard to earn your business and trust. Our goal is not just to improve the appearance of your landscape, but to be one of your favorite companies. We hope our professionalism and service will win your trust and referrals to your family, friends, neighbors and co-workers.